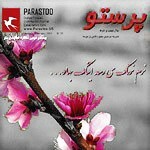 This year’s “Parastoo Nowruz Festival,” will be held on Sunday, March 20, 2011. As always we are preparing for this in advance, organizing our classes, committees, and meetings. Therefore we would like to invite our community members, instructors, coaches, volunteers, artists, and anybody who is interested to be a part of the Festival Family to contact us.